Injectable Powder Filling Machine is suitable to fill injectable powder into vials. The precision built welded steel frame is encompassed with stainless steel sheets with access doors for servicing the machine. All parts coming in contact with container, powder and rubber stopper or exposed to the atmosphere are made of stainless steel for long life. High Speed Injectable Powder Filling Machine is suitable to fill injectable powder into vials. The precision built welded steel frame is encompassed with stainless steel sheets with access doors for servicing the machine. All parts coming in contact with container, powder and rubber stopper or exposed to the atmosphere are made of stainless steel for long life. Machine provide production output up to 240 vials per minute and best suitable for medium & large scale production requirements. Automatic Vial Powder Filling Machine is suitable to fill injectable powder into vials. The precision built welded steel frame is encompassed with stainless steel sheets with access doors for servicing the machine. All parts coming in contact with container, powder and rubber stopper or exposed to the atmosphere are made of stainless steel for long life. This machine is available in two different models. Automatic Vial Powder Filling Machine, APF-120 provide output of 30 to 120 vials per minute, on other side Automatic Vial Powder Filling Machine, APF-240 provide production output of 60 to 240 vials per minute. Adinath introduces state-of-art Automatic Dry Syrup Powder Filling Machine for filling of large volume powder into containers. Machine is widely uses in pharmaceutical, cosmetic, veterinary, herbal & food industries. High Speed Dry Syrup Powder Filling Machine is suitable to fill powder into dry syrup bottles. Machine provide production output of 100 bottles per minute and widely uses in pharmaceutical, cosmetic, veterinary, herbal & food industries. Automatic Auger Powder Filling Machine is suitable to fill large volume of powder into bottles, jars & other containers. Machine provides production output of 40 containers per minute and suitable for pharmaceutical, biotech, veterinary and food industry. It is compact machine, self supported on Stainless Steel legs with height adjustment. The machine is precisely built on sturdy welded Mild Steel frame and duly cladded with Stainless Steel. The powder filling unit is mounted on the pillars is supported by top plate with height adjustments. High Speed Auger Powder Filling Machine is suitable to fill large volume of powder into bottles, jars & other containers. Machine provides production output of 80 containers per minute and suitable for pharmaceutical, biotech, veterinary and food industry. It is compact machine, self supported on Stainless Steel legs with height adjustment. 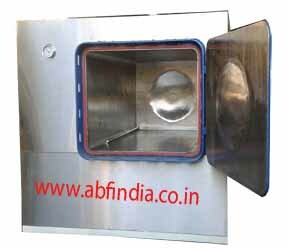 The machine is precisely built on sturdy welded Mild Steel frame and duly cladded with Stainless Steel. The powder filling unit is mounted on the pillars is supported by top plate with height adjustments. Automatic Vial Filling & Stoppering Machine is suitable to fill injectable glass vials. The basic unit consists of turntable, Stainless Steel Stat conveyor belt, unique eccentric pre-gassing, filling and post-gassing. Highly efficient and precision built Stainless Steel 316L Syringes, non- toxic synthetic rubber tubing and easy reach compact panel. The minimal distance between filling and stoppering units reduces the risk of contamination. The machines are designed for operation in a sterile area and for use under laminar flow protection. The un-scrambler itself has been redesigned to eliminate dead ends and difficult-to-clean spots. Automatic Vial Filling and Stoppering Machine is suitable to fill injectable glass vials. The basic unit consists of turntable, Stainless Steel Stat conveyor belt, unique eccentric pre-gassing, filling and post-gassing. Highly efficient and precision built Stainless Steel 316L Syringes, non- toxic synthetic rubber tubing and easy reach compact panel. The minimal distance between filling and stoppering units reduces the risk of contamination. The machines are designed for operation in a sterile area and for use under laminar flow protection. The un-scrambler itself has been redesigned to eliminate dead ends and difficult-to-clean spots. Automatic Vial Filling and Plugging Machine is suitable to fill injectable glass vials. The basic unit consists of turntable, Stainless Steel Stat conveyor belt, unique eccentric pre-gassing, filling and post-gassing. Highly efficient and precision built Stainless Steel 316L Syringes, non- toxic synthetic rubber tubing and easy reach compact panel. The minimal distance between filling and stoppering units reduces the risk of contamination. The machines are designed for operation in a sterile area and for use under laminar flow protection. The un-scrambler itself has been redesigned to eliminate dead ends and difficult-to-clean spots. Automatic Vial Flling Rubber Stoppering and Cap Sealing Machine is a compact model use for filling, rubber stoppering and cap sealing of injectable liquid vials. This compact machine is also called combi vial filling stoppering and sealing machine as all three process take place on single platform. Machine is ideal choice for small but online tunnel based filling line operations. Automatic Vial Cap Sealing Machines are compact model uses for sealing of glass vials. Machine is uses for flip-off cap sealing of duly filled & stoppered injectable glass vials in pharmaceutical industry. Depending on the output required the numbers of sealing heads changes. Automatic Vial Aluminum Cap Sealing Machine is compact model uses for sealing of glass vials. Machine is uses for aluminium cap sealing of duly filled & stoppered injectable glass vials in pharmaceutical industry. Depending on the output required the numbers of sealing heads changes. Automatic Flip off Vial Aluminium Cap Sealing Machine is compact model uses for sealing of glass vials. Machine is uses for flip off aluminium cap sealing of duly filled & stoppered injectable glass vials in pharmaceutical industry. Depending on the output required the numbers of sealing heads changes.